Critter Wine Glass Markers, Set of 6 - Who's wine glass is this? Now you will always know! 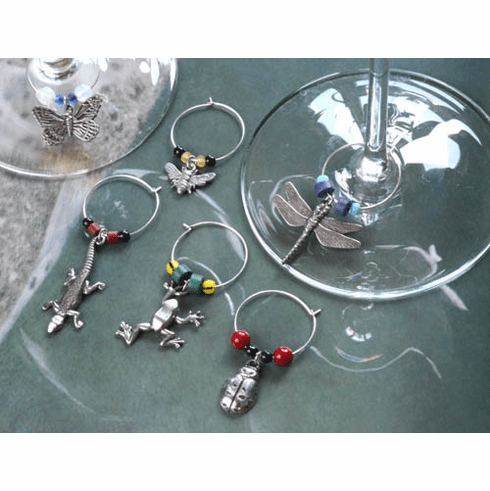 Vermont made pewter critters, a butterfly, dragonfly, frog, salamander, bee and lady bug are accompanied by color coordinated beads on a stainless steel ring that easily fits around your wine glass's stem and locks. Great house warming gift. Gift Boxed.